All of you, Hailey's fans, at the end of the year, finally came to the very exciting news! According to the program of the Berlin love lok show tonight, the 2019 mna show was released, and then the five wonderful words of "Hailey concert" appeared on top. Next may, everyone has a chance to meet our beautiful goddess! Please note that this is preliminary information. Well, finally, something, even if it is 6 months away still! Will we have to wait that long just to hear that she's singing a song that the rest of us may never hear? And for tiny snippets of information that we'll never find out more details about? Will the only thing we have to look forward to be that we might see a few pictures at a press conference and the concert, wearing a new dress/outfit, perhaps? Of course, I'm glad there is a new concert to look forward to, but I'm just wondering if there ever be anything ELSE for the rest of the world to look forward to! I don't find it surprising that she has a concert in Taiwan. Now, I might be surprised to see that she had one somewhere other than Taiwan, but I'd be very glad, of course. I been told by the Venue her management canceled the concert. We are not sure the management canceled the concert or not, but we are sure that there is not any performance for Hayley Westenra in our venue in May. So, unless it is actually somewhere else in Taiwan, I would say there is no concert in Taiwan. 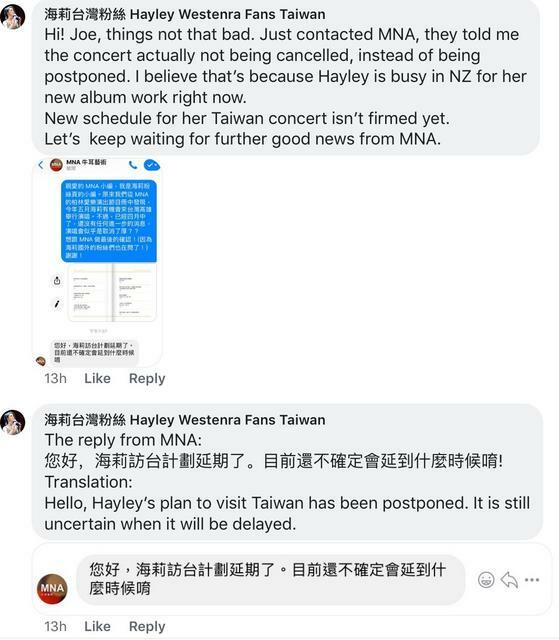 I tend to agree Libby, the Cameron Carpenter concerts also listed above appear on the Events page of MNA Taiwan, but Hayley does not. And we'd almost certainly have heard it mentioned by Hayley herself by now, of course, so I'd imagine we'll soon need to mark it cancelled in the schedule. I asked Frank Lin of Hayley Westenra Fans Taiwan to see if he can get us info on this event. He replied that he had contacted MNA and Hayley’s concert is postponed, and not cancelled. A new date is uncertain. That's good to know that Hayley will still have a concert there. 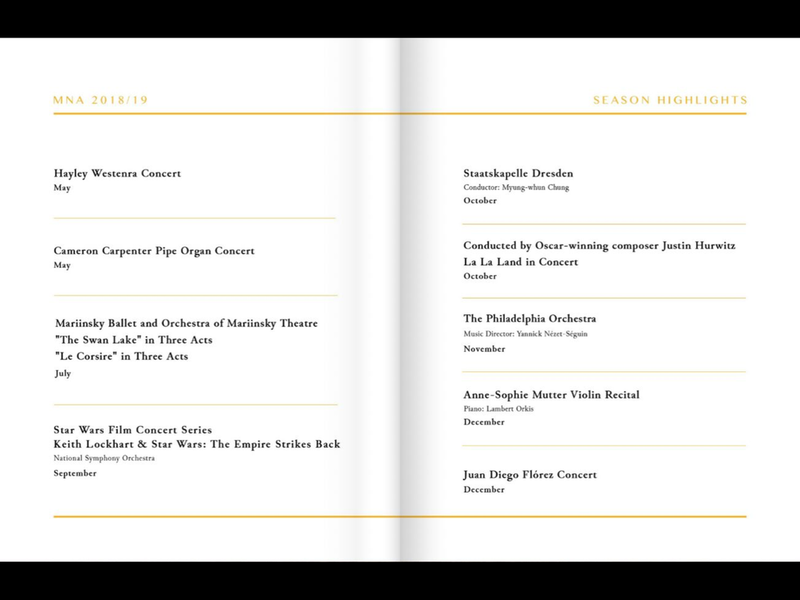 Maybe it will be in fall, as the last few concerts there have been. Anyway, even if this one was really cancelled, Hayley concerts in Taiwan are pretty much inevitable, which is definitel a good thing. Hopefully there will eventually be a tour there, as well as NZ, UK, US, etc. Hopefully Japan, too, they've been deprived for a long time! It's so strange to me how infrequently she's been there despite her many albums released there, even if most are compilations of previous recordings.